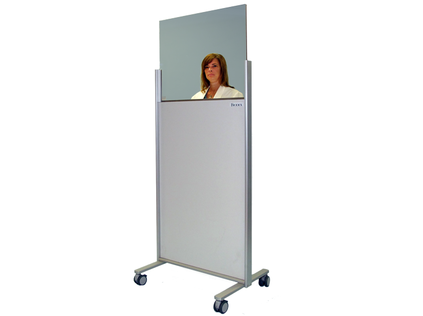 Ionizing Radiation Protection - Clear-Lead™ Mobile Barriers offer large, durable and shatter resistant protection wherever it’s needed. Save Time – new sleek design is easy to clean! 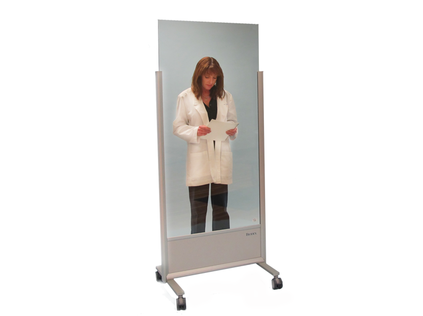 Clear-Lead™ acrylic mobile x-ray barriers are designed for use around any imaging procedures using ionizing radiation, e.g., fluoroscopy, x-ray, CT, mammography. The greatest advantage of these barriers over others on the market is the time they save behind the scenes. Their sleek design exposes no hardware, nooks or crannies while the opaque section of the shield is covered with plastic laminate – the result, a smooth, easy-to-clean finish. Grab-handle edges and large casters make them effortless to maneuver. 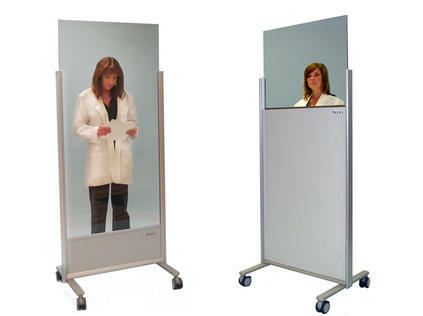 Clear-Lead™ Mobile Barriers offer large, durable and shatter resistant protection wherever it’s needed.